Very professional staff. After having called many companies I decided to go with them because they made me feel secure. The process was simple and quick. I recommend this company to anyone who needs some fast cash. Great Service. Fast efficient and friendly. The process was very fast and there were no hidden fees when i took the loan and while i was paying it back. The interest rate was lower to what other companies offered. I definitely recommend this company. Great service... very fast.. would recommend. Anas Car tittle loan, have excellent service very efficient and fast. I have no complaints. Belen helped me with my loan and she was really nice and helpful. She'll take good care of you if you need a loan. I had really good experience they did not ask for too much paperwork and they were done pretty fast whit my loan and i was able to walk whit my check between and hour. Annas Car Title Loan great fast way to get money when you need it. I just walked in and walk out with money within minutes!!! Great fast service. Wonderful service and very thorough in explaining everything. I needed a lil help and when EVERYONE said No, Bryan at Montana Capital said Yes! I ran into a couple road blocks with certain documents but Bryan always had a solution. Thanks Bryan and Montana Capital now i can enjoy my weekend! 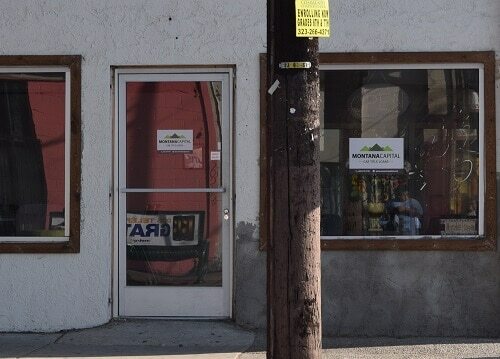 The Euclid Ave Montana Capital Car Title Loans in Los Angeles Branch has been providing the residents of Los Angeles with auto title loans since May 2015. 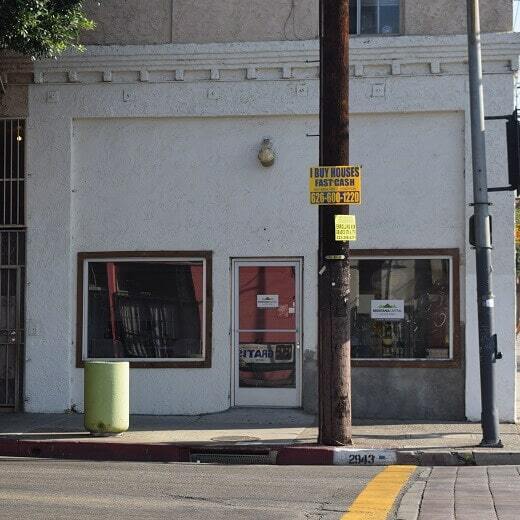 The store is located at 827 Euclid Ave right next to the intersection with Whittier Blvd. If you live in Los Angeles and in need of quick cash, stop by the Euclid Ave Montana Capital Car Title Loans in Los Angeles Branch. We are obligated to provide all our customers with supreme customer service. Whatever you call the great city of Los Angeles; whether it’s La-la-land, the Big Orange, Angeltown or Tinseltown, it’s a great place to live. Also referred to as the “Entertainment Capital of the World,” there is no lack of things to do and see. Since the first settlers arrived from the Tongva and Chumash Native Americans many hundreds of years ago, the city has grown into a total of 502 square miles and is home to some four million residents who have hailed from more than 140 different countries. International trade, recording studios, technology and aerospace are only a few of today’s industries. Montana capital Car Title Loans Los Angeles is the place to go when needed auto equity loans. The short application takes only minutes to fill in and after it’s received in our offices, we will contact you to finalize the application. We offer secured loans for any purpose. Many people use car title loans in Los Angeles to get money to pay student tuition’s, pay back old debt, save money for a rainy day or to have spare cash to get through to the next paycheck. Whatever you need money for, you can apply for it here at Montana Capital Car Title Loans in Los Angeles. Anyone with any credit background can apply for auto title loans in Los Angeles. If you have a poor credit history, don’t worry. We can approve a loan with the Minimum amount of $2,600, depending on our credit criteria. We secured the loan with your own vehicle, but you do not need to give it up. We put a lien on your car, so you can keep your car. Are you having a hard time getting by financially in LA? Sure there are many things to do and places to go for entertainment, but none of that really matters if you’re short on money and can’t keep up with your bills. And you know that if you don’t pay your bills on time or only make the minimum payment that they get more and more expensive. You get charged with late fees and penalties, not to mention your credit score will be bad. If you have a car that you’ve paid for and your name is on the car title, that makes you a great candidate for a title loan from Montana Capital Car Title Loans in Los Angeles. So rather than getting stuck with expensive late fees, send us your online request for a car title loan. Car title loans are simply secured loans. A secured loan is a loan that has something of value backing it up. In the case of car title loans, the security is provided by your own vehicle. By using the value of your car to back up a loan, it means that you don’t have to run to the bank and sit there filling out endless forms to apply for a loan. 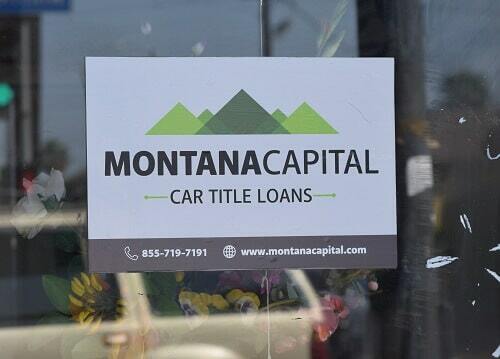 With title loans from Montana Capital Car Title Loans in Los Angeles, you don’t even have to go outdoors to apply! We’ve put the application form online, so that you only need to fill it out and send it to use. If we can process your request for a cash loan, then we will contact you as quickly as possible. In that case, we can even pre-approve your application while you’re still at home! Send in your application and see if you’re eligible today! If you need some fast cash and own a car with good value, contact us today. We will confirm that you are able to pay back the loan and we’ll assess the current value of your car. If your name is listed on the car title as the owner and it has a high enough value, we will contact you and continue the application process. So go ahead and fill in the contact form and send it in to us. Do it online anytime that pleases you and we will see how we can work together. Don’t wait – call us today!